This May, you'll have a cool pack waiting for you in the Ounce Store! 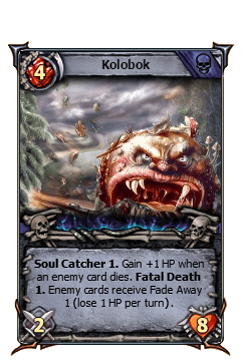 Mega-booster + Promo Card: Kolobok! - Soul Catcher 1: +1 HP when an enemy card dies. 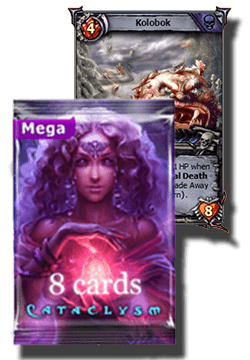 - Fatal Death 1: Enemy cards receive "Fade Away 1". The offer will be available all throughout May! What are you waiting for? Enter the Ounce Store and upgrade your squads!